We recently had Dr. Jack Turbyfill in the lab giving one of his world renowned lectures on his technique involving the training denture, and his hydrocast relining method. We love this kind of information being delivered to our clinicians because it provides a new definition of what a quality denture really is! Dr. Turbyfill’s technique uses multiple clinical remounts, and gothic arch bite registrations, which is a big part of why this method is so successful. But along with multiple clinical remounts, comes the challenge of the remount itself. This article is aimed to provide you a way to clinically remount that you may not have seen before, and may just lure you to make more denture adjustments on an articulator, once you see how easy it can be using an alternate material. The remounting procedure is an indispensable part of the complete denture fabrication process, and should always be done. However, we know that in today’s dentistry, this is often a step that gets overlooked, and is often replaced with swift, quick adjustments in the mouth. When done correctly, the first remounting is performed before the denture is ever delivered to the patient, and the second after a certain amount of time wearing. However you look at it concerning remounting, dentures must be mounted on casts, and casts have to be secured on an articulator. 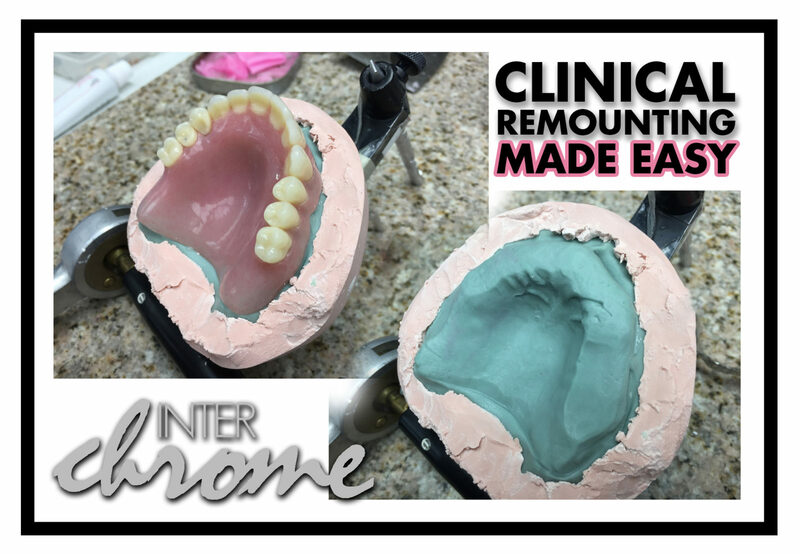 This method doesn’t replace the old tried and true version of creating stone remount casts and blocking out tissue surfaces. It does, however, provide a convenient procedure for creating the remount casts, articulating the case, and making needed adjustments. Like many things, there are multiple ways to accomplish the same thing, and if we can promote more remounting of denture cases, then we see this as a good thing! This procedure has proven to work very well for our dental clients, and it also serves a purpose for us in the lab for varying lab tasks. Ultimately, your patients are the ones to benefit from your broadened scope of knowledge of these things. If you’d like to talk to a technician who can give you further insight into remounting, or other complex lab work, please give us a call at 757-271-5811, and we’d love to start a conversation. Tagged Articulating, Clinical Remount, Complete Dentures, Dr. Turbyfill, Lab Putty, Remounting, Turbyfill Technique.